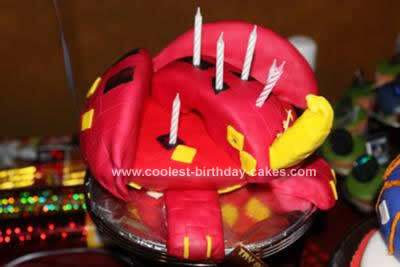 My son loves Bakugan characters and his birthday was approaching so I decided to have Bakugan as the theme of his birthday party and decided that I will do all the cakes and pastries for his birthday. 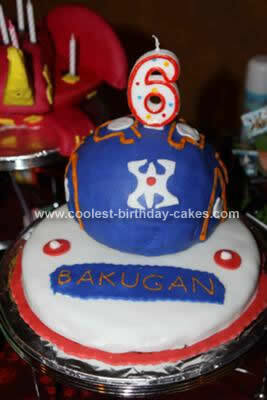 I started buying all the ingredients for the Bakugan Birthday Cakes and equipment required for the cakes 1 week before the birthday party, after that I had to look into the shapes, designs & colors of the Bakugan characters. Two days before the birthday I baked the cakes. I did 2 flavors, chocolate and vanilla and left them to cool all night long. 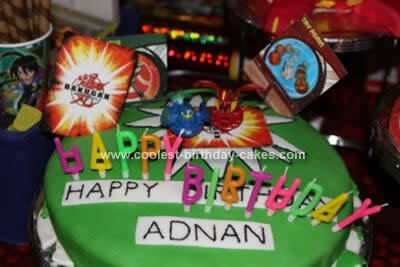 On the 2nd day I started cutting the cakes according to the characters shapes. After that I started with coloring the fondant sugar and preparing the butter cream and fillings (chocolate chips butter cream). 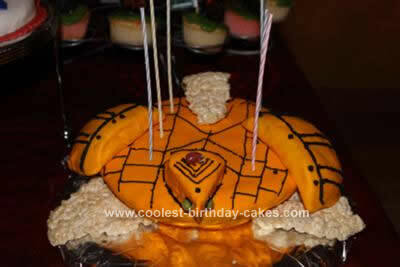 After that I started to cover the parts of the cakes with the butter cream and covering them with the fondant sugar and some of them I added the filling and assembling them to shapes of Bakugan.